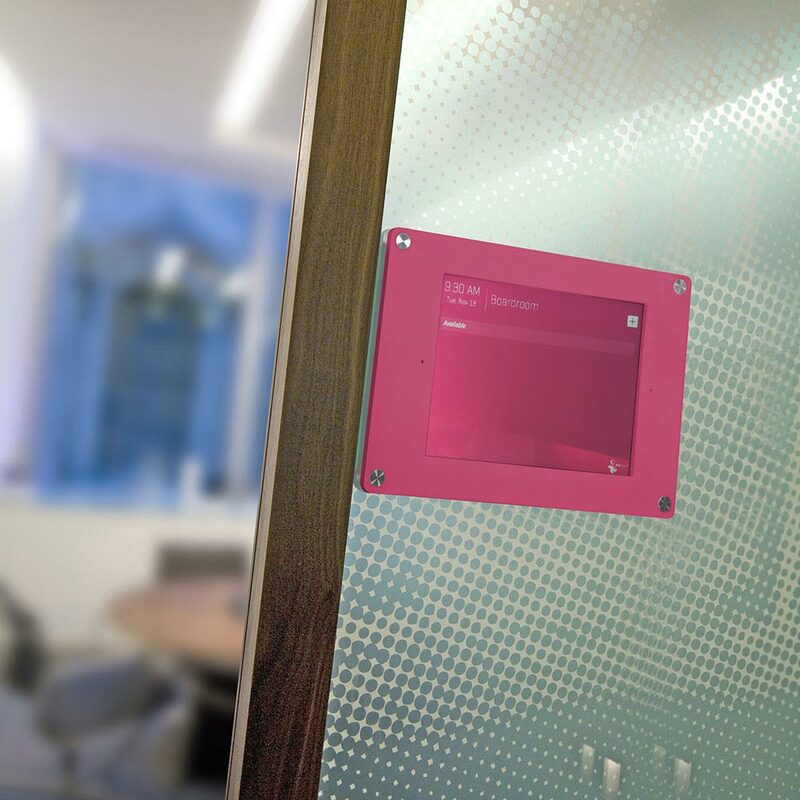 Designed and manufactured by Signbox, Padwall is an elegant and robust holder for the iPad; routed from 12mm thick HI-MACS solid surface material in either black, white or a range of vibrant colours such as candy pink or key lime. 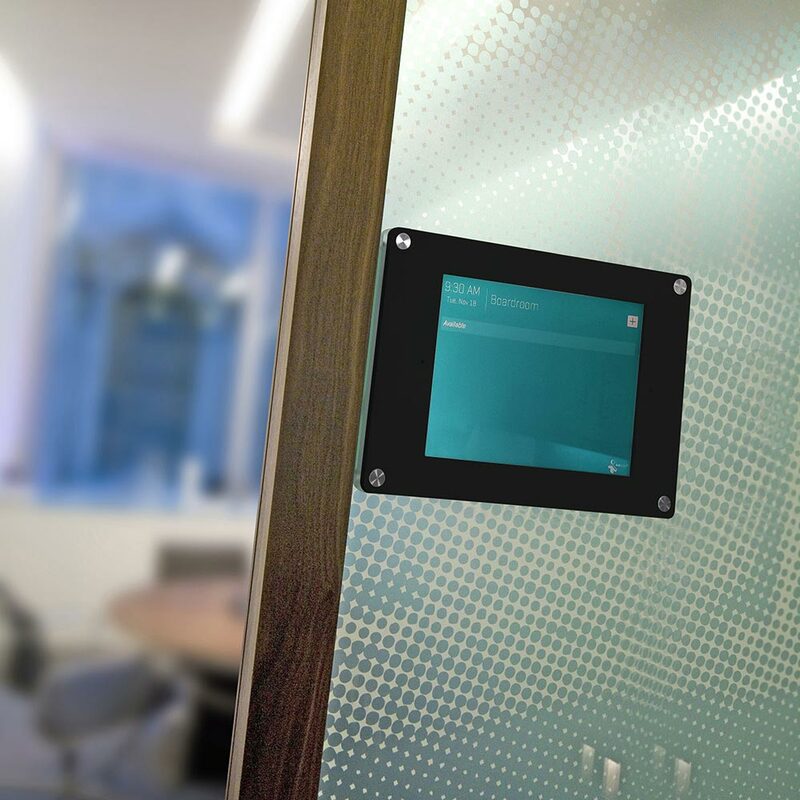 Padwall can be mounted in both portrait or landscape formats with the home button activated with a pointed object. 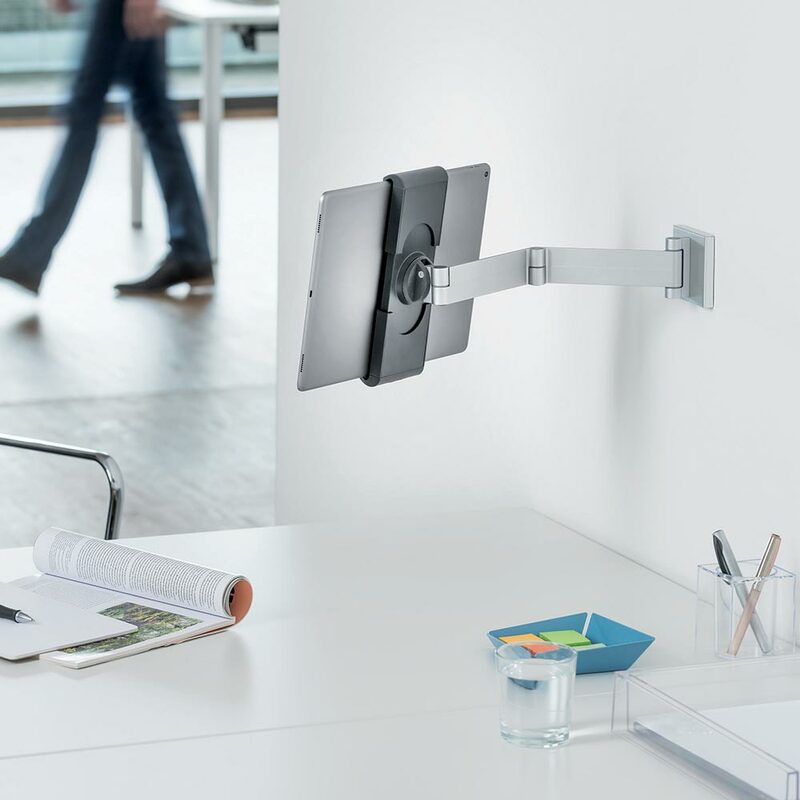 Securely fixed with 4 No stainless steel button fixings that are lockable on the base with an allen key, Padwall stands off the wall by just 15mm. 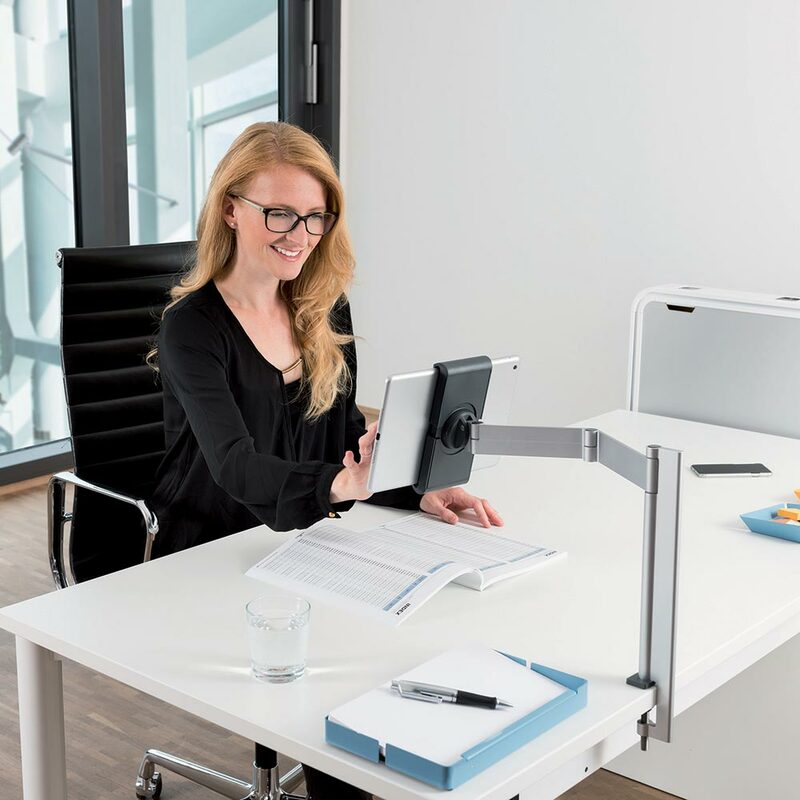 The iPad is further secured in place with an aluminium backing plate fixed with security screws, protecting it from possible theft or unauthorised access. For a dynamic meeting room door sign, team Padwall up with Askcody Today+. 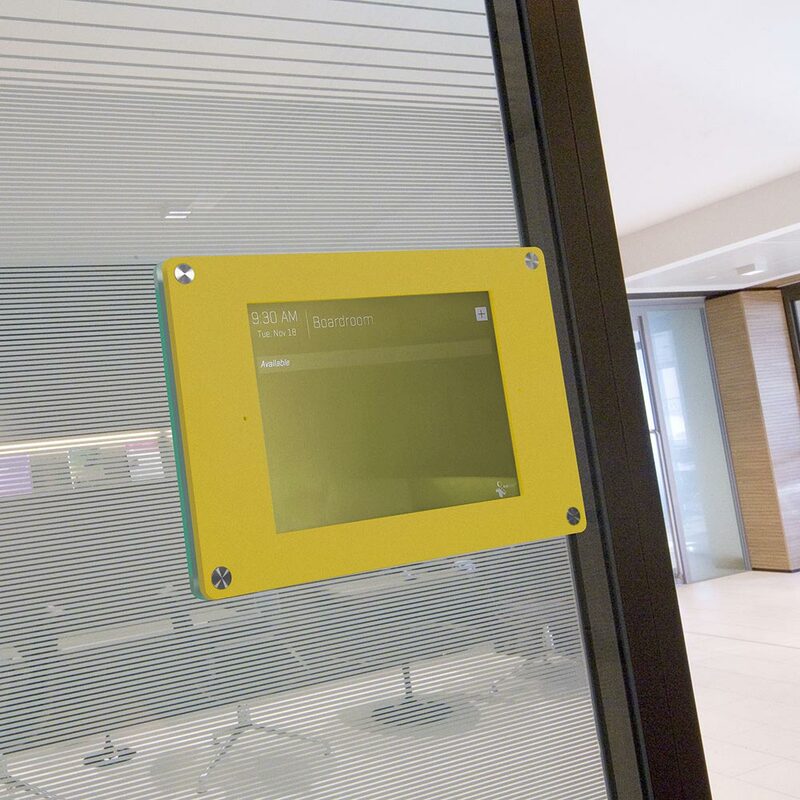 Fully integrated and synchronised signs take away the hassle of finding unoccupied meeting rooms, interruptions to meetings and misunderstandings with regard to bookings. Askcody Today+ is an on-trend digital door sign that shows today’s activities for a given room and gives your company a professional, interactive, cost-effective and flexible dynamic sign solution for meeting rooms. AskCody® Today+ works out of the box with calendar systems like Microsoft Exchange and Google Calendar (No additional software needed). Book as usual via Outlook or Google Calendar, through the cloud or by using your smartphone or tablet. The events are updated instantly on Today+. Today+ lets users schedule events directly on the screen. When the meeting is scheduled, the event is automatically saved to your calendar system so that all systems are up-to-date instantly with meeting room availability. 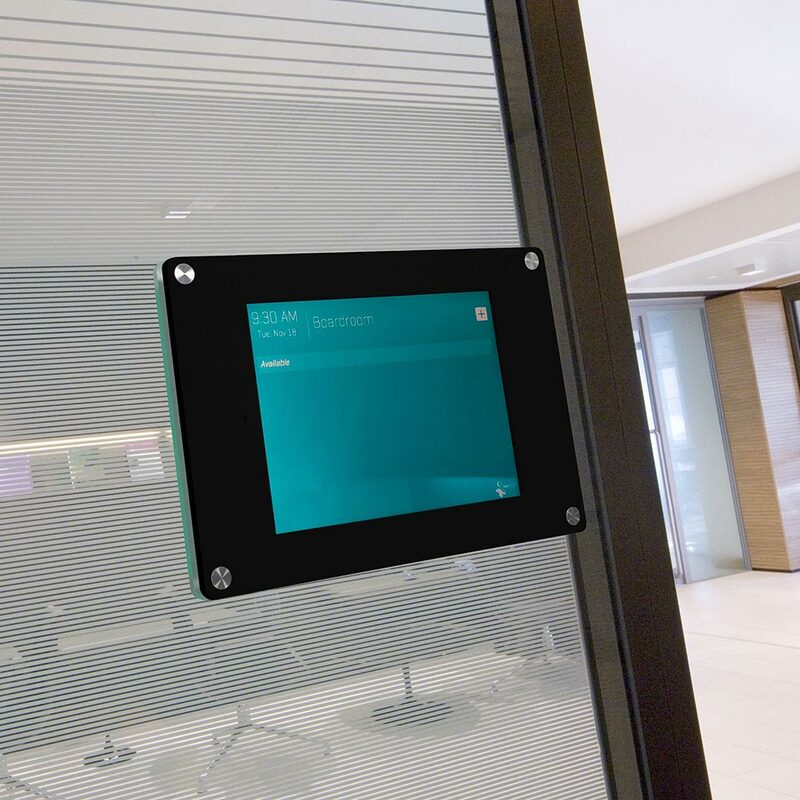 The intuitive interface along with the fact that no new software needs to be installed, allow all employees to start using Today+ immediately. 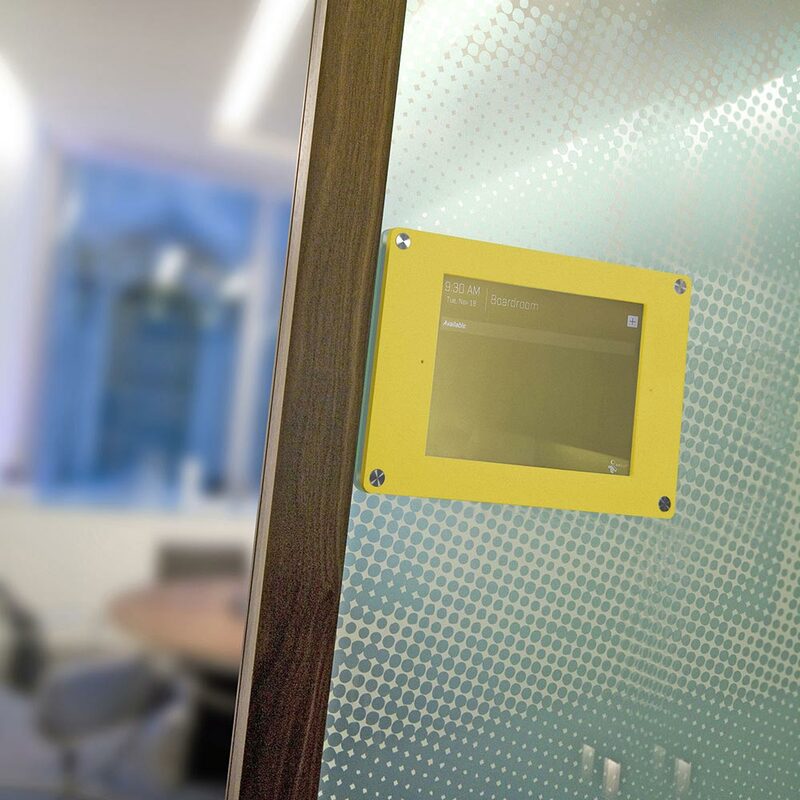 Please contact us for any bespoke colour requirements.